If you’ve been wondering why the year 1844 is being bandied about lately over here at Rancho Los Cerritos, then you haven’t heard the big news yet. But we will get to that soon enough. In the first in a series of blog posts, RLC will feature “back in the day,” historic, nostalgic, and other tales throughout 2019, highlighting fun facts, personal perspectives, and other viewpoints from staff, volunteers, and visitors alike. It will become clearer as you read these posts why we’ve decided now is a good time for such reflection and repose. So, let’s start with the basics: Who of interest was born in 1844? February 17 – Businessman A. Montgomery Ward. He initially founded Montgomery Ward in 1872 as a dry goods traveling salesman and delivery service in the Midwest, almost a full 15 years before Sears & Roebuck (yes, that Sears) came into being. Imagine if Montgomery Ward had been conceptualized in there here parts during the earlier RLC days and how many miles and minutes (hours? days?) could have been left untraveled simply for a dry goods stock-up run (no “Target Run and Done” in this era, folks!). May 3 – Richard D’Oyly Carte. Not striking a note with you? Carte was a well-known English opera impresario whose Savoy Theatre in Westminster’s West End became host and home to the first Gilbert & Sullivan operas. 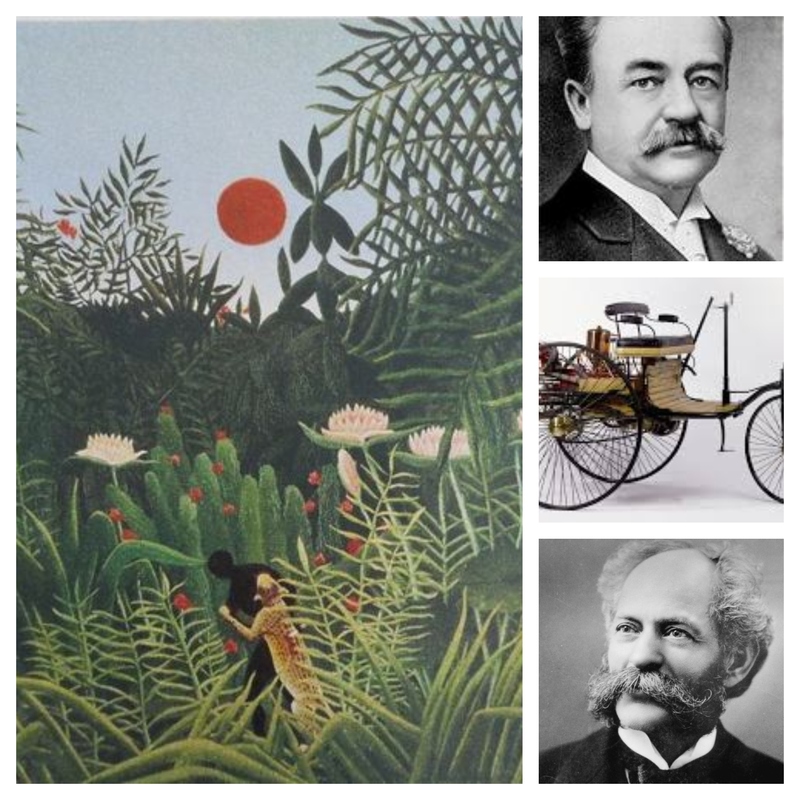 May 21 – French Post-Impressionist painter Henri Rousseau. Best known for his “naïve” or “Primitive” style, Rousseau’s pieces featured simpler interpretations of jungle and more natural scenes, which earned him status as a self-taught genius despite his simplicity. Given RLC’s lovely produce groves, herb and display gardens, and other assorted natural residents (squirrels and feral cats are similar to monkeys and lions, right? ), I can only imagine what kind of inspiration that RLC would have provided for Rousseau during his heyday. October 11 – Henry J. Heinz. While renowned for his ketchup brand he also at one point developed and offered more than 60 different food products. November 25 – Karl Benz. Yes, the German automotive pioneer. Think of a time when someone could have driven over to RLC in their Mercedes Benz with a picnic lunch packed with Heinz products prepared for an afternoon opera al fresco (perhaps not in 1844, but maybe 1944?). Let’s circle back now. What does this all have to do with why 1844 is kind of a big deal for RLC in 2019? It’s because it’s our birthday: RLC officially turns 175 this year! This is the anniversary of when Massachusetts-born John Temple constructed the present two-story Monterey-style adobe here on-site in 1844 as headquarters for his large-scale cattle operation. Although RLC was only used by Temple as a summer home and he maintained his main residence in Los Angeles, much care and expense were lavished on an elaborate formal garden at the Rancho, with significant trees from his time still in existence. Much more to come as the year goes on… stay tuned!